The SHA/SKM Service Gold - The National Kindness Award took place on 9 November 2016 at the Leo Ballroom, Marina Mandarin Singapore. 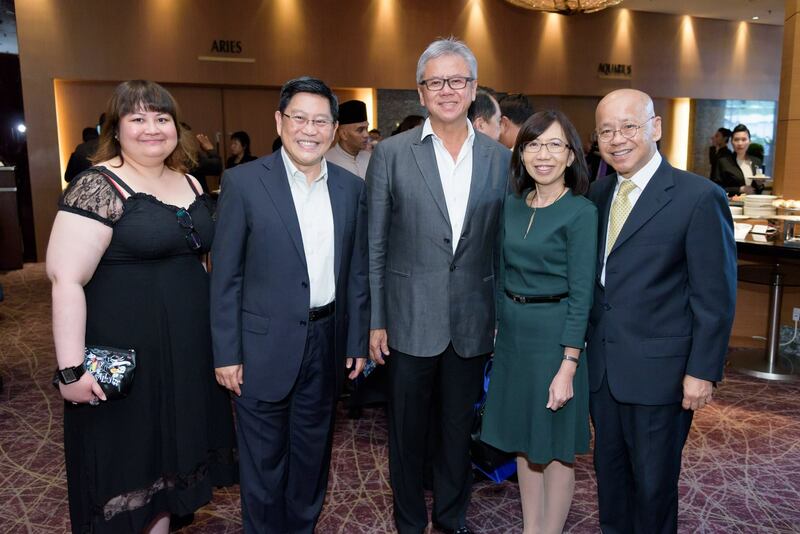 Currently in its 22nd edition, the event was graced by Mr Yeo Guat Kwang, Assistant Secretary-General, NTUC and was well attended by close to 200 award recipients and guests. 92 award recipients from 56 participating hotels were recognised at the award ceremony and each of them received a certificate and collar pin from the Guest-of-Honour, Mr Yeo Guat Kwang. 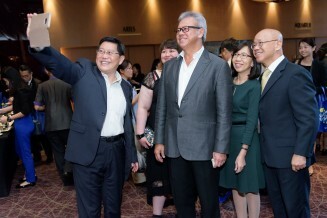 This year, a total of 4 overseas guests were nominated for the Gracious Guest recognition. 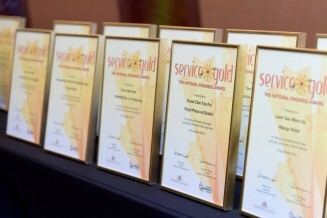 Inaugurated at the same event in 2013, the award seeks to appreciate guests who have exhibited exemplary graciousness to the service staff in the local hotels. These guests were singled out for the award for showing appreciation, empathy, understanding and thoughtfulness towards service staff. 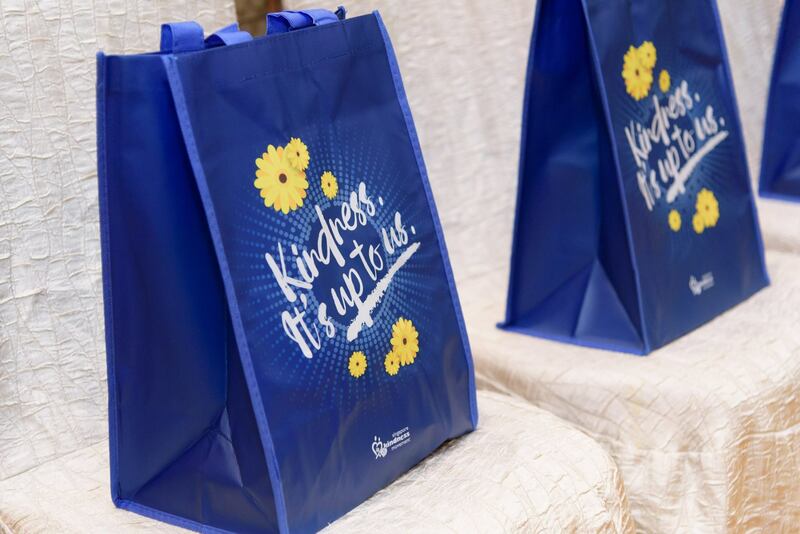 As an extension of the award platform on kindness, for the third year in a row, SHATEC and participating hotels hosted a group of under-privileged youths to share some joy with them. For this year, Fairmont Singapore and Swissôtel The Stamford welcomed 10 residents from the YouthReach programme and treated them to a sumptuous afternoon high tea and a tour of the hotel. It was a very enriching experience for the residents and all who were involved in this worthwhile project. Our heartiest congratulations to all winners!